All of the suite with none of the opera. 21 hours 19 min ago. Sound Liberation is an eclectic hip-hop/chamber/jazz/rock/etc. ensemble committed to "ending the segregation of sound vibration." 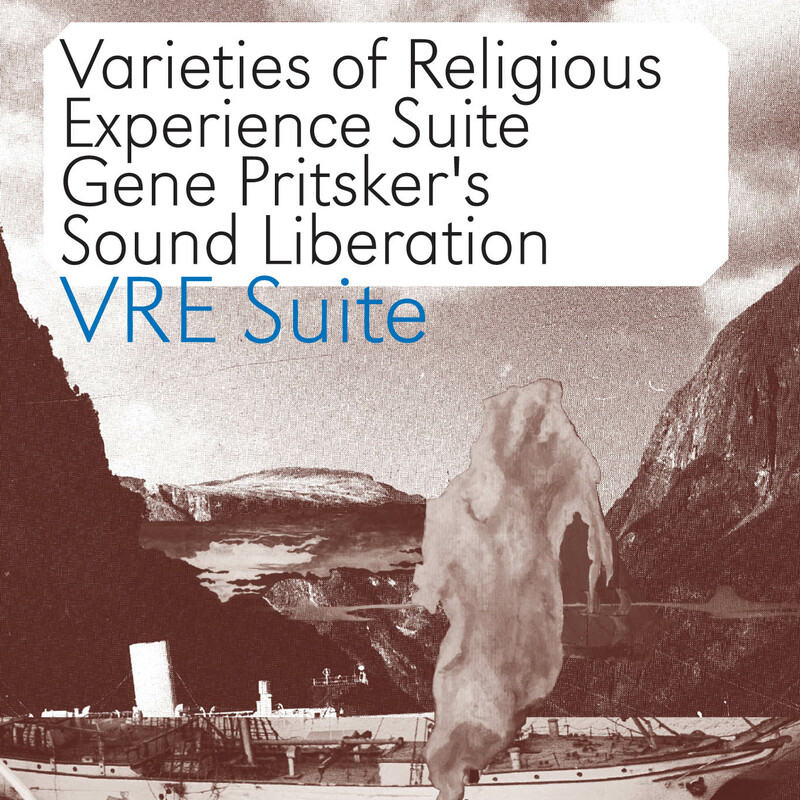 Their latest album continues the long tradition of composers creating suites out of their operas (in this case Pritsker's "William James: Varieties of Religious Experience," hence the "VRE Suite"). Scored for a quintet version of Sound Liberation: cello, two electric guitars, contrabass and drum set, this album is instrumentally focused, in contrast to their previous albums that included various singers and rappers, and the music is influenced by jazz, contemporary classical music, improvisation, minimalism, hip-hop, and African rhythms. Composer/guitarist/rapper Gene Pritsker has written over three hundred seventy compositions, including chamber operas, orchestral and chamber works, electro-acoustic music, songs for hip-hop and rock ensembles. His compositions employ an eclectic spectrum of styles and are influenced by his studies of various musical cultures. Gene's music has been performed all over the world at various festivals and by many ensembles and performers, including the Adelaide Symphony, The Athens Camarata, and Brooklyn and Berlin philharmonics. He has worked closely with Joe Zawinul (orchestrating a full album of his music for The Absolute Ensemble on Intuition Records) and has orchestrated major Hollywood movies. The New York Times described him as "...audacious...multitalented." Joseph Pehrson, writing in The Music Connoisseur, described Pritsker as "dissolv[ing] the artificial boundaries between high brow, low brow, classical, popular musics and elevates the idea that if it's done well it is great music, regardless of the style or genre". Organizations he is associated with include Composers' Concordance, Absolute Ensemble, and The International Street Cannibals. "Gene Pritsker's music is much more than the sum of the elements involved ... No matter what camp you may be a part of, this recording will stretch the boundaries of what you expect. Most importantly Pritsker does it all with an assurance and lucidity that make a case for why such hybrids can provide exciting, absorbing listening." "There are myriad textures here that invite meditation. Accessible, stimulating chamber music throughout … Exceptionally curious and inclusive rather than aggressive or confrontational, Pritsker and his collaborators explore passionate new expressions based on jazz, world rhythms, machine rhythms, lyricism, and the spirit … It positively asserts that your cosmic, mystical experience is as genuine as my mystical experience; or as genuine as that of any organized religion." "The classic 1902 tome [The Varieties of Religious Experience] by philosopher William James serves as inspired fodder for guitarist/conceptualist/composer Gene Pritsker. The results may have you seeing visions … Listeners may hear strains of jazz, contemporary classical music, minimalism and even hip-hop and African rhythms … Driven by both Pritsker and fellow guitarist Greg Baker, the music has a light, playful feel to it. "'William James' Introduction' immediately sets the stage with faint echoes of some of Ornette Coleman's electric music with Prime Time. 'Consciousness Of A Presence' continues the polyphonic feel, the Sound Liberation band both earthy with electric guitar peals and lighter than air with its implied but not really stated bottom end. Another tonally and harmonically ambiguous song, 'Dream,' is filled with unexpected twists and turns, both foreground and background moving in and out."